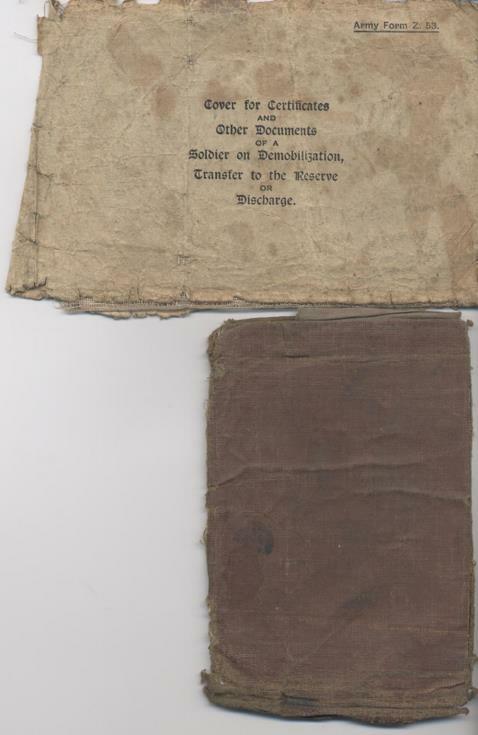 Account book (a) issued to Private K McKay 5th Seaforth Highlanders B Company. Records pay received in 1916 and 1917. Handwritten list of battles in 1917 and 1918 near back, a biblical quote signed B Macleod, and various other notes. In envelope (b) marked Cover for Certificates and Other Documents of a Soldier on Demobilization, Transfer to the Reserve or Discharge. Kenneth McKay was the donor's great uncle. The book was found at his home - 3 River Street, Dornoch.